Promotions should give customers something additional. This could be money off, a free item, or the chance to experience, win or own something. Whatever the addition is, it must be perceived as valuable by the customer or they may not take up the offer. For example, there is little point selling two products for the price of one, if the product is not sought after, popular or valued. Likewise, if you are offering a free gift, make it something that has a value, either actual or perceived, because by simple adding something that has not intrinsic value, most customers will see it as the advertising and promotional ploy it is. Never try to force customers to take part. Giving them the hard sell on a promotion will back fire. Sales men that are too desperate to sell usually don’t sell very much a tall. Instead, be generous with your communications and your promotions. 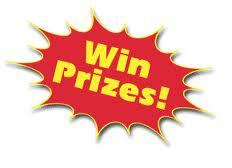 For example, competitions are a great way to engage your customers and give them a really high value gift. You don’t need to give everyone a prize but you are engaging with them all and giving them all the chance to be the winner. Be truthful and honest. Don’t tell people that something is worth a lot of money if it is not. Be genuine and honest in all dealings with customers but be especially careful to demonstrate your trustworthiness when you are promotion offers to brand news leads.